5. The Camera. Apple made no improvements to the camera at all, and not even to the camera's software. Many of the world's top converged devices have cameras that range between 3 and 5 megapixels. The iPhone's 2-megapixel shooter is really a bare bones camera for such an advanced device. There's also no flash and no vanity mirror. 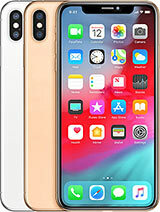 On top of that, the software controlling the iPhone's camera includes no ability to make any adjustments to the shooting process or the camera's settings. You can't dial down the resolution, the quality, adjust white balance, or perform any other changes that even "free" phones can make. That's just poor. Perhaps Apple is relying on third-party app developers to create better camera software. Personally, I'd rather have Apple-developed camera software, and Apple didn't deliver. 4. The Price. Yes, the price. I know the device costs $200 less than it did yesterday morning, but that's not taking into consideration the additional $240 you'll be paying for that data contract over two years. The total cost to own the device for two years just went up by $40. If price was the only thing keeping you away from the original iPhone, just know that it ain't cheaper at all. Of course, you can't forget the new rules. 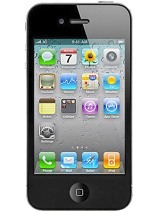 3G iPhones need to be purchased and activated in AT&T (NYSE: T) or Apple stores. No unlocking, two year-contracts mandatory. 3. Still no keyboard. The iPhone's software keyboard has documented issues. It's simply harder to use than Apple says it is. I've owned an iPhone for a year and still have trouble with it. So do many others. 2. Lack of other upgrades. Still no stereo Bluetooth, still no MMS, still no video recording, still no character counter in the SMS app, still no IM capability, still no cut-and-paste, etc. Many of these features may be offered via third-party apps in the future, but that is not known for certain. 1. The 3G radio. Yes, I am going to complain about the 3G radio. Apple stuck a UMTS/HSDPA 3G radio in the iPhone. Kudos to Apple for at least making it a tri-band radio, meaning you'll be able to roam between North America, South America, Australia, Europe and many other regions of the world and still have access to 3G. But Apple could have done better. How? What about including a radio that can handle AT&T's HSPA network, meaning faster uploads for all those pictures and emails? What about supporting faster versions of HSDPA. Right now, the iPhone's 3G radio supports the middle HSDPA speed, which is about 3.6Mbps for downloads in optimal conditions. Other 3G phones available on the market support 7.2Mbps downloads. The 3G iPhone may in fact have a 3G radio in it, but it is not quite as zippy as others. Apple could have put the best chip in there. And it should go without saying, but I am going to say it anyway: If you don't live in an area blanketed by AT&T's 3G network, upgrading to 3G won't do you any good. Samsung i900 omnia is gonna kill iphone 3G! Nooo! Whats with the 2MP camera? 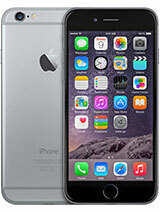 You would think apple would be courteous enough to keep up with compeditors and provide us with a decent phone. To much spent on advertising, not enough product is what I think. 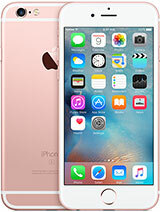 wt r d available colors of dis phone?? Honestly, desapoting... Where is the video-calling cameera? What about a better photo camera?? 2mplx without auto-phocus?? Not even a LED for bad light condition?? Hey, that is not from this century?? Other than that it's a great mobile phone, and finaly it's avaible everywhere!! I know I will be able to sync with Exchange server but will I be able to sync it with Outlook? Anonymous, 13 Jun 2008How sad, a still-born phone. RIP iphone, Omnia has arrived and you have wasted your time. Released where? Apple will sell hundreds of thousands of more units than any other current model. There will be an upgrade for the Omnia (which is just Windows Mobile with a dressing up) in six-months. 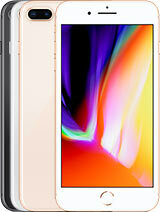 Get the iPhone; it works and will be supported. In the end, it's a better experience. Giló, 12 Jun 2008Hello folks... I just whant to say that iPhone 3G is not better in specifications than i900 Om... moreI just wanted to say it will cost hundreds more; it will not be supported by the networks in the US; it has Windows Mobile and will freeze every other day; It may be better, but in the long run it will be more of a headache and more expensive. BOB, 12 Jun 2008@ the guy who frogot his name. i didnt say iphone 3g was cheaper than other phones i just sai... moreWhat's the point? Any phone with a 3G plan for two years will be the same extra cost. So, start with an 800 Nokia and you'll have an extra cost of 600 at the end. spud, 12 Jun 2008Does anyone know if you can send/receive picture messages? also can you play normal mp3 music ... moreYes, if it's unlocked you can install a MMS program. albert, 12 Jun 2008i think the camera is 5 mpno its not! How sad, a still-born phone. RIP iphone, Omnia has arrived and you have wasted your time. Update: No more guessing, folks. 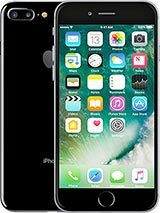 There will be a source for black market 3G iPhones because there will be some carriers that will sell it contract-free with pre-paid cards. Vodafone Italy have announced their iPhone 3G prices with pre-paid cards (no contract, no monthly fees). The iPhone 3G 8GB will retail at 499 euro, while the iPhone 3G 16GB will cost you 569 euro. Well, tables have finally turned and it seems Europe (instad of USA) will be the place to get your black market iPhone now. Does anyone know if you can send/receive picture messages? also can you play normal mp3 music or do you have to buy itunes. 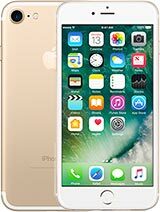 sorry about these questions i may be a new iphone user so i just want to get some info. @ the guy who frogot his name. i didnt say iphone 3g was cheaper than other phones i just said iphone 3g costs more over a 2 year period than iphone gen 1. and another thing i 4got to mention: isnt this one of the only 3g phones without videocalling capabilities? it definitely is one of the only 3g devices which cant record video. compare its specs to that of all other smartphones and u notice iphone is behind. if u want to compare specs compare it to htc shift, advantage, nokia n96. bcos it has worse specs than others doesnt mean ppl wont buy it tho. got 2 admit it has a great UI. Hey, has anyone got any idea about support for quicktime/realplayer/flash plugins to the browser? Is there anything built in already, or possibly rumoured to be on the way? If it was, that would put the iPhone even further into a class of its own!